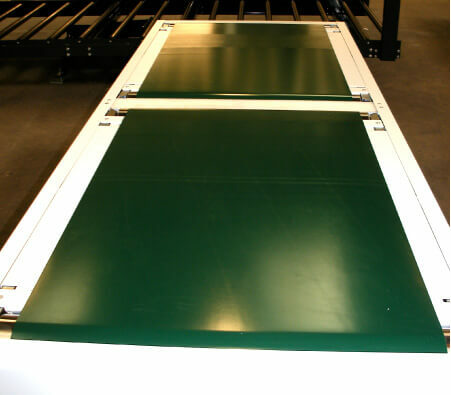 Accumulation conveyors are used to temporarily stop, hold and release materials when a designated amount has accumulated or a signal is given to release them. 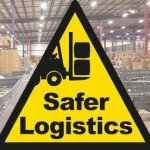 This is a common requirement for both manufacturers and warehouses that wish to maximize the productivity of their material handing systems. 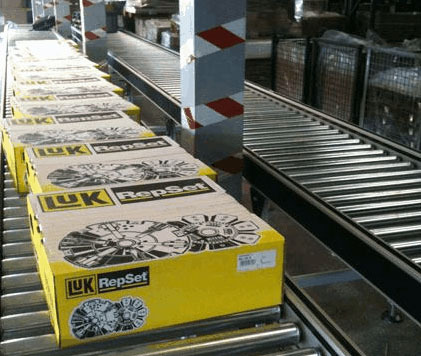 Another advantage to accumulation conveyors is their ability to hold material to release pressure and build up later down the line, this is important if you have any manual elements to your conveyor system or wish to minimise the impact on end of line equipment and processes. 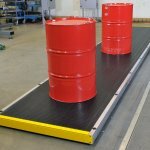 Andrews Automation offers a comprehensive range of accumulation conveyors which can be designed and manufactured to your exact specifications. Whether you’re accumulating cardboard boxes or fragile food trays, we can tailor a solution to your exact needs to suite any situation. The accumulation conveyors which Andrews Automation offer allows the system to buffer products with minimal line pressure. This allows the system to reduce item damage, with gentle handling and many configurations available; your products can be accumulated to improve line efficiency. Whatever your requirement are, we are able to identify and supply the correct solutions for you, from accumulation conveyors to chain conveyors, we can design, manufacture and install a complete solutions integrated into a current system or stand alone. Give us a call today to discuss how we can reduce your manufacturing costs and improve your productivity.